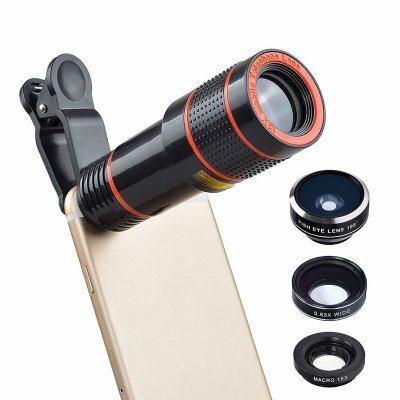 Successfully Added 4 In 1 Smartphone Camera Lens Kit - Macro Lens, Telephoto Lens, Wide Angle Lens, Fisheye Lens, Tripod, Carry Case to your Shopping Cart. 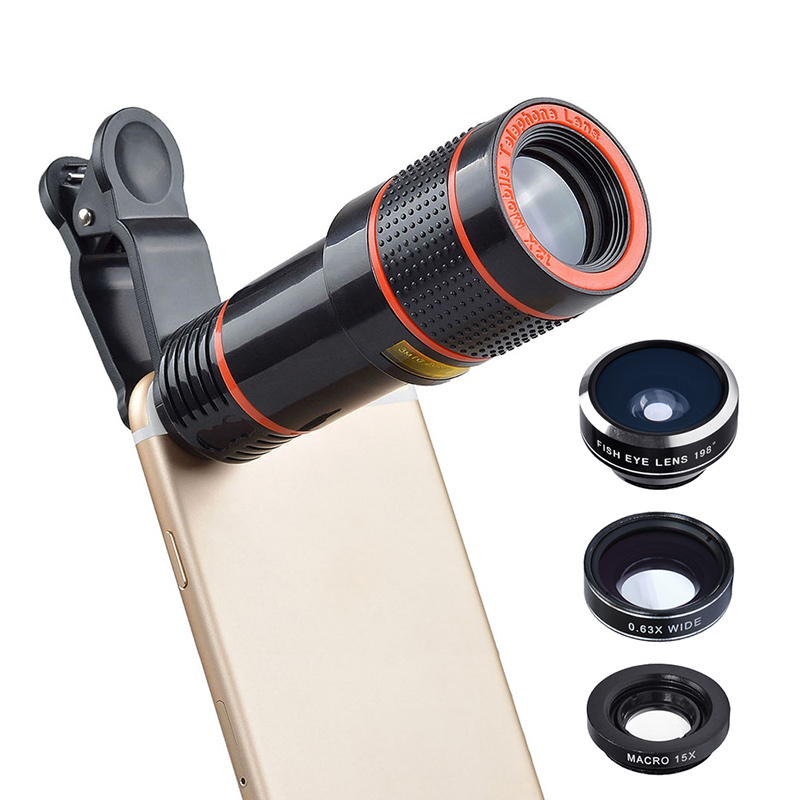 This 4 in 1 smartphone lens kit is suitable for use with iOS phones and iPad devices, it will also work with 98% of Android phones. This kit includes 4 lenses and a tripod so you can shot different sorts of pictures and get a steady shot without any shake. The 12X zoom telephotos lens lets you bring photos in the distance closer without losing any of the image quality that you get when using a digital zoom. A 0.63X wide angle lens is the perfect way to snap more encompassing landscape photos or get all your mates in one picture. With the 198-degree fisheye lens, you can have wrap around images that are great for artistic shots or put panoramic vistas in a new light. There is also the Macro lens that has 15 times magnification, great for getting detailed shots of miniscule things such as insects or flowers. This 4-in-1 smartphone lens kit comes with 12 months warranty. Brought to you by the leader in electronic devices as well as wholesale smartphone lens kits and mobile accessories. The wide angle lens is paired with the macro lens, gently unscrew the wide angle to reveal the macro lens. The macro lens is used alone. Before using a telephoto lens, you need to adjust the focal length according to the target distance. When you use a macro lens for photographing small things, you need to get close to the subject.